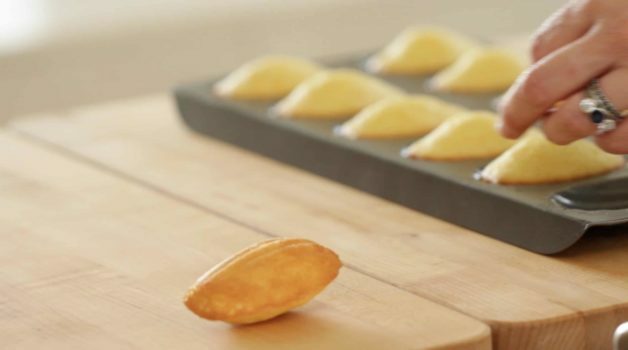 This Easy Madeleine Recipe will have you whipping up Madeleines like a pro in no time! They are pretty easy to master if you follow my foolproof tips! 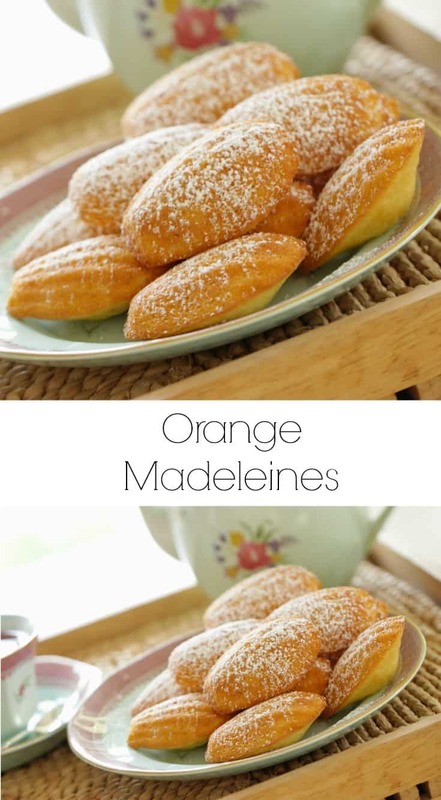 Is a Madeleine a Cookie? Well, it depends on how you look at it. Technically, it is a small sponge-like cake. But over the years it has “functioned” more like a cookie since they are typically served alongside tea or coffee. 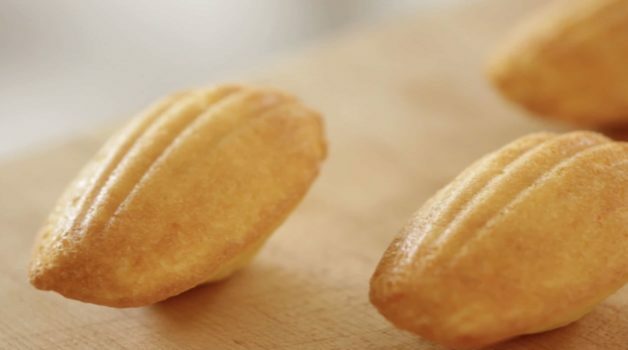 How Long Do Madeleines Stay Fresh? 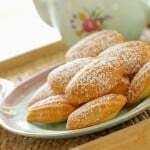 Personally, I think Madeleines are best eaten they day they are made. But they will last in the refrigerator for 2-3 days . After baking, omit the powdered sugar, place them in an air-tight container, and then bring to room temperature. Just before serving you can dust with powdered sugar. For More Madeline Tips, Watch My Video Below! Yes! After baking allow to cool completely. 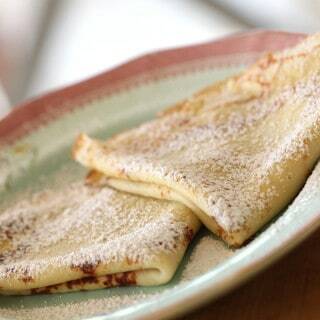 Omit the powdered sugar. Then wrap in wax paper, then in aluminum foil. Place in the freezer for up to one month. 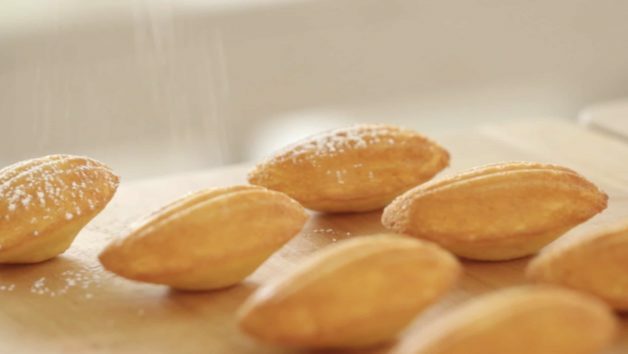 The day you plan to serve them, allow your Madeleines to thaw at room temperature, then dust with powdered sugar just before serving. 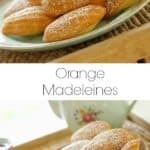 How Do You Achieve The Traditional Madeleine Hump? In order to get that traditional “hump” of a madeleine cookie (the true mark of success!) you must refrigerate the batter at least one hour before baking. This is a step often over looked, and really does make all the difference! The hump also allows them to prop themselves up showing off their beautiful scalloped detail! This is not the time for those silicone wonder molds. Non-stick metal all the way! I find those silicone molds don’t allow for even browning like the non-stick metal does. 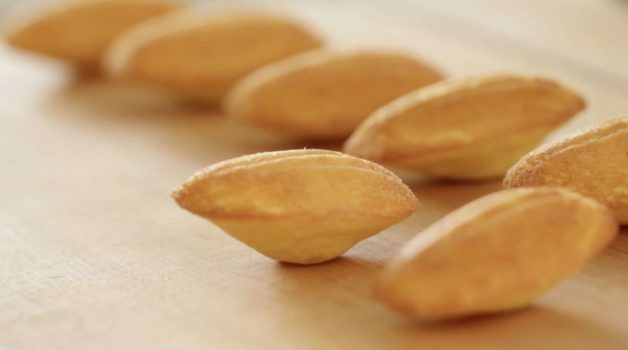 This Easy Madeleine Recipe will have you whipping up Madeleines like a pro in no time! Batter can be made 2 days ahead. Batter MUST rest for at least 1 hour in the fridge in order to get that “traditional madeleine hump”. Perfect!!! 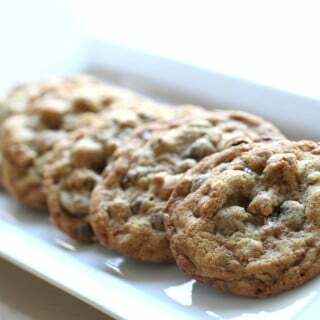 If i am baking multiple batches fo i need to let the pans cool down? No need. Just pop the madeleines out on a cooling rack (easier to do this before the cool and set) and then keep going! 🙂 Hope you enjoy! YAY! So glad they were a hit! 🙂 Bravo!! Wow, novice baker, complete success. I have made 4 batches so far. The batter that sat in the refrigerator for the longest (3 days) baked up with the best hump. 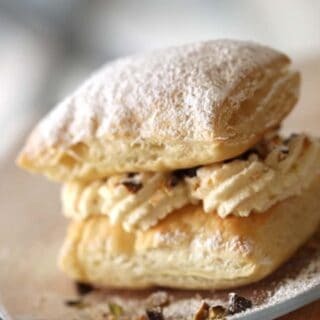 Timing the baking is tricky–a minute too long, a minute too short? I will keep working on these to get it just right. A batch is going out the door now (6:30 am, so easy with the batter ready to go) for a birthday at my daughter’s work, and a little boys’ soccer team loved these split and filled with a thin layer of chocolate ganache. I will be returning to your site for other recipes–your videos are just great. First of all thank you for this very nice and successful recipe. 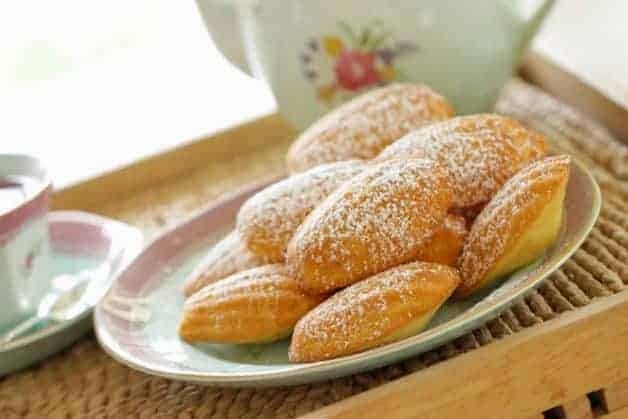 I have already made it successfully two times, with just slight adjustment in T. From my experience and the way how my oven works, ” hump” look was achieved only with a higher T. Preheat oven to 220C and bake Madelines first 3 minutes on that T. Next 4-5 minutes I did it on 200C. Also, instead of 1 tablespoon of batter, I went with a heaping teaspoon and they came out nice and plump. Overall I believe the recipe worked as it tasted citrus-y but not sweet. I used a thermometer, fresh baking powder, refrigerated over 2 hours and didn’t see a pop in the middle. I’ll keep trying but any suggestions on increasing sweetness without wrecking the recipe? On a different recipe it had a higher start 230c then 200c…thoughts on that? Great and easy recipe. I had to cook mine for 10 minutes and they still probably could have cooked a bit more. I can’t wait to try these with different flavors. I am an experienced baker but I cannot get this cookie to turn out. I followed your recipe exactly but they always sink in the middle. Why? Hmm sinking in the middle sounds like it could be a few things 1. the batter isn’t cold enough or 2. your baking powder might be too old or 3. your oven isn’t running at the right temp. Often times we set our oven for 350F, and the meter will tell you its 350F but it’s actually not calibrated correctly and may be running cool, say at 300F. This is really common in ovens and most people’s ovens if they are a few years old don’t run exactly at temp. The best thing to help with this is an oven thermometer. That way if it is running cool you can set your oven to say 375F to get it to run at 350F. I really think it could be that 🙂 since you might not be getting enough heat quickly enough to activate the baking powder and force the cookies up. Let me know if that helps! Can I use lemon peel instead of orange or will it throw the taste off? Sure lemon peel would be great! No prob 🙂 Enjoy! Hi Beth, Thank you for this easy and delicious recipe. It comes out perfect every time. I add a little bit of vanilla with the orange peel made it even better! 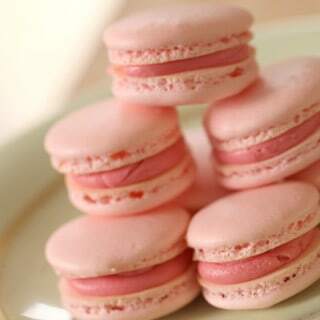 Thank you for great recipe and tips. You write to pre heat oven but to refrigerate for at leastan hour. Think pre-heat comes when ready to bake. Can these be frozen? If so, should they be dusted with with powdered sugar before freezing or wait until they thaw? If you make the batter a day or two before baking, should the batter be kept in the fridge up to 2 days? Sure you can keep the batter for 2 days in the fridge and I would dust with powdered sugar after they thaw 🙂 Hope you enjoy! 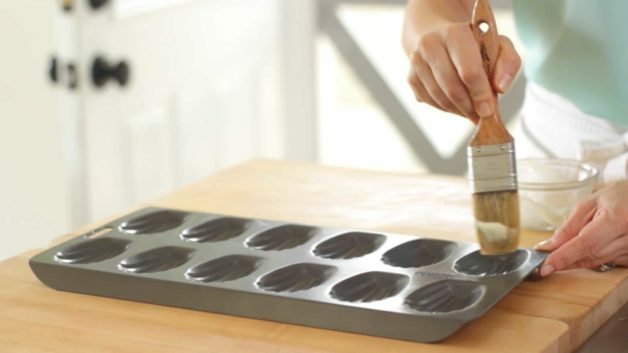 I was given a silicone madeleine pan, and was wondering if there was any way I can make it work with your recipe. I would have preferred a metal pan, but who am I to look a gift horse in the mouth? Oh sure it will still work fine and be delicious no worries! It’s just my own personal preference for metal if I have a choice. Enjoy!